When we feel a lack of ability or a block in what we want to achieve, how we want to be, how we want to feel, because of one or a number of issues, we need that outside help and support to make a constructive change in the way we think, interact and/or act that will help us cope more effectively within our environment - whether that's work, relationships, inner personal issues or socially. Using a holistic and mindfulness approach I tailor therapy to your needs whether that is a combination of therapies or using the stand-alone therapy of *BWRT(R) Psychotherapy. Combinations can include using Clinical Solution-Focused Hypnotherapy and incorporating CBT techniques, NLP techniques, EFT therapy, BodyTalk WholeHealthCare Therapy and/or Reiki where appropriate. All therapy or combination of therapies are chosen with your needs uppermost and in agreement and liaison with you and how you want to work. *BWRT(R) Psychotherapy is a stand-alone therapy only and I am qualified and an experienced Advanced Practitioner in BWRT(R) Levels 1, 2 and 3 (please see my website at www.monmouthclinic.co.uk for more details of the issues that can be helped. As an experienced and qualified Clinical Hypnotherapist and Psychotherapist, HypnoBand(R) Gastric Band Practitioner, Hypnobirth Practitioner, Advanced BWRT(R) Psychotherapist and Master Weight Loss Coach and Master BWRT(R) Transformation Coach, I can help you to feel better about yourself, helping you make constructive changes to your thoughts, feelings and actions. 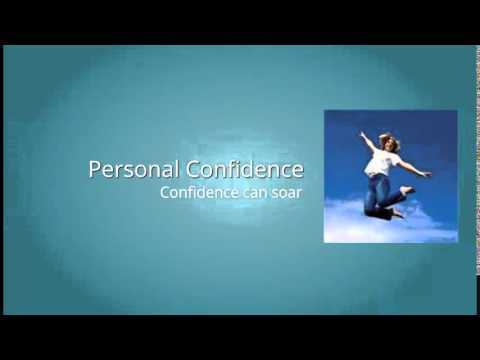 Do you want to lose weight/release fears/phobias, habits, addictions, insecurities or build self-esteem and confidence? Making a Constructive Change supports changing your life for the better. Tel 07585 552462 or email me at monmouthclinic@yahoo.co.uk for an appointment in Newport or Monmouth Clinic. Free CD with every Clinical Hypnotherapy initial consultation. "I can't thank you enough for all you have done for me over the last few weeks. I feel like a new me, positive, relaxed and happy. I will keep up all the new techniques you have shown me. Thanks again." "Many thanks for all your care and for giving me back my confidence." "I came slightly apprehensive but I was met with such a friendly approach. Coming here has released me from a straight-jacket; realising that I had potential, which is something I hadn't felt before, but I definitely do now. I would most certainly recommend this therapy to anyone who needs a helping hand in their life so that they can enjoy it to the full!". "Made me a different person. After 8 weeks it has totally changed me. I am so much calmer, and friends and husband have noticed the physical change in me." "My husband asked me what I wanted for Christmas and I asked for these sessions and they have been the best Christmas present I have ever had." "I came to see you about 18 months ago to help me with weight loss and it was fabulous." As an Advanced BWRT® Practitioner and an Advanced Member of the British BrainWorking Research Society (BBRS) I have taken part in a research programme using BWRT® Psychotherapy (non-hypnosis) in palliative care with a number of issues, including diabetes II. Clinical Hypnotherapy and Psychotherapy can give you the tools and techniques to help you succeed when you find you need help to recognise or focus on your goals and achieve your potential or where you find you sabotage your efforts and need help to re-define your aims and commit to a different mindset. BWRT® Master Transformational Coach - incorporating Weight Management Coaching and integrating Personality needs and working. I can also offer BodyTalk Consciousness/Energy Therapy being the first Certified BodyTalk Consciousness/Energy Therapist in Wales- see www.bodytalksystem.com for more details of this wholehealthcare complementary therapy. CPD: Presently undertaking EFT training to further enhance therapeutic choices for clients. Member of the Institute of Brainworking Recursive Therapy (MIBWRT). WSN Personality Profiling and Therapy, helping and supporting working in the best way for you and your goals. What is Clinical Solution-Focused Hypnotherapy? Using holistic approaches, where appropriate and depending on the client's preferences, can support the client's experience and provide working towards optimum health and wellbeing. Newport Clinic -, Tuesday 9.30 am-7 pm, Wednesday 10 am - 7 pm and Friday 12 noon - 8 pm. 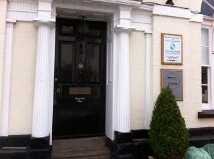 Monmouth Clinic -Thursday 9.00 am-8 pm.